(L to R) Pat Parke, Public Health Educator, Rockland County Department of Health; Pat Smith, LDA President; an LDA volunteer at Rockland County Vector-Borne Disease Advisory Committee meeting in Rockland County, NY in September 2007. Ms. Smith presented an update on the spread and impact of Lyme disease across the country to the Advisory Committee. 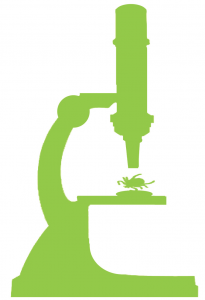 Federal Lyme Bill HR 741: Congressman Smith helped us by introducing the Lyme bill. Let’s help him to get this bill passed! This bill was introduced into the US House of Representatives on January 31, 2007 by Congressman Christopher H. Smith (NJ). The bill is identical to last year’s House bill (HR 3427) except for updated dates in the bill. We need your help now. Click on the link to get information on the Smith/Stupak bill, (history, co-sponsors, who to contact). Lyme disease desperately needs the $100 million over 5 years that this bill provides for research, physician education, prevention, and task force formation. Federal Employees: LDA CFC Eligible GOOD NEWS! Nolan Schaefer, a goal tender recently acquired by the Minnesota Wild hockey franchise is partnering with the Lyme Disease Association and also the Canadian Lyme Disease Foundation to raise awareness about Lyme and funds for Lyme disease research. NORWICH, CONNECTICUT, November 26, 2007–The national Lyme Disease Association (LDA) announces the formation of the Lyme Disease Association, Eastern Connecticut Chapter (LDAECC), bringing the current total of LDA-associated organizations nationwide to 31. The Minnesota Lyme Action Support Group will host nationally recognized speaker Pat Smith, President of the national Lyme Disease Association, Inc. (LDA). In three separate forums, Ms. Smith will present an overview of Lyme disease issues to elected officials from the Twin Cities and Forest Lake at a by-invitation only Mayor’s Forum on Tuesday morning, November 13. A free community forum will be presented on Tuesday evening, November 13, and a forum for chiropractors will be Wednesday, November 14. Children are invited to tell their own Lyme stories. Time for Lyme Co-President Diane Blanchard will speak on behalf of the national Lyme Disease Association on the problems affecting children with Lyme. Manorville Firehouse, 16 Silas Carter Rd., Manorville, NY 11949 (Suffolk County). For more information about this event hosted by community leader Keith Romaine, please contact Empire State LDA President Eva Haughie at Eva@EmpireStateLDA.org or phone 631-878-6657 begin_of_the_skype_highlighting 631-878-6657 end_of_the_skype_highlighting. People suffering from Lyme disease, along with family and friends, will hold a walk and candle lighting ceremony near the San Diego Convention Center on Saturday, October 6. In addition to calling attention to the suffering caused by the tick-borne illness, they’ll be raising funds for much needed research to improve the diagnosis and treatment of Lyme Disease. Brooke Landau, lyme disease survivor and traffic anchor for ABC channel 10 news San Diego, will be the celebrity hostess for this event. They are also trying to call attention to being excluded from what’s going on inside the convention center—the annual conference of the Infectious Diseases Society of America (IDSA). Presenters include CDC’s Dr. J. Livingood, whose 2006 paper concludes that the “invasion of neural cells by B. burgdorferi provides a putative mechanism for the organism to avoid the host’s immune response;” Finland’s Dr. Hetta Yrjanainen whose study shows viable Bb after Ceftriaxone therapy in mice, and Dr. Katherine Feldman and her work with Tularemia. The day will conclude with a 70 minute presentation with rebuttals on the two standards of care for Lyme disease: ILADS and IDSA, from Dr. Ray Stricker, President, ILADS, and Dr. Paul Auwaerter from Johns Hopkins University. CALDA offers grants for doctors to attend LDA & ILADS conferences. August 30th from 5:30 pm to 7:30 pm at 310 Center Drive, Riverhead in the Suffolk County Legislative Auditorium at the County Center. With the assistance of the Empire State Lyme Disease Association, Legislator Romaine (631-852-3200 begin_of_the_skype_highlighting 631-852-3200 end_of_the_skype_highlighting) has assembled a panel of experts on Lyme disease treatment and prevention to discuss this debilitating disease. Members of the public are invited to share their own experiences as well. A group of Maine residents spearheaded by Lyme patient, Jessica Plantanitis, will host a Lyme Awareness Walk in Wells, Maine, on Saturday, September 22, 2007. Registration begins at 9am and the walk at 10am. 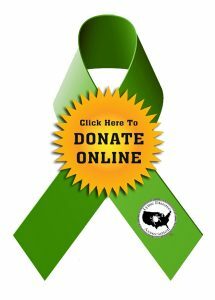 See http://lymediseaseawareness.com for details and contact info for the walk. All proceeds will be donated to the Lyme Disease Association. Dr. Daniel Cameron and LDA President Pat Smith in windy Atlantic City for the CSTE meeting in June. They attended and spoke at the meeting against the adoption of the then proposed CSTE surveillance guidelines which would limit the use of the EM rash for diagnostic criteria in non-endemic areas by also requiring a positive test. The Council of State and Territorial Epidemiologists passed the new guidelines after discussion and despite input by Cameron and Smith discussing the damage this new criteria would have on numbers and patients. The LDA, ILADS, and numerous Lyme groups nationwide have signed onto a letter opposing the adoption of these guidelines by the Centers for Disease Control & Prevention. West Milford Health Nursing Supervisor Bobbie Del Sol (L) and professor Doris Aaronson (R) New York University, with LDA president Pat Smith, who spoke to a standing room only crowd in the West Milford, NJ, Municipal Building about Lyme disease and other tick-borne diseases. The presentation was arranged by Professor Aaronson and sponsored by West Milford Township Public Health Nursing Division, Passaic County. Ms. Smith will also speak to the riders of Gear Up for Lyme, a bike race up Mt. Equinox hosted by the Manchester Rotary on Saturday, August 4, 2007. The Rotary splits the proceeds of the race between the LDA and their own charities. Visit www.gearupforlyme.com or contact Andy Holzman at 802-362-0273 begin_of_the_skype_highlighting 802-362-0273 end_of_the_skype_highlighting for race details. The LDA welcomes Ya-Yas author Rebecca Wells to the LDA’s Honorary Board and its Literati with Lyme Effort. The LDA has adopted the following resolution on revocation of the IDSA guidelines and we ask that you adopt it at your next meeting. Change only using your group name and date in the Resolved clause. Support groups can adopt this, too. The group president, chairperson, director, or leader should put his/her name under a clean copy of the resolution you adopt and send the LDA the adopted copy by email to Lymeliter@aol.com. We will publicly use these resolutions in the national campaign to get these guidelines revoked. Sanjukta Gayen and LDA president Pat Smith at AT&T headquarters in NJ. Dr. Gayen arranged for Ms. Smith to present a lunch and learn for employees at the headquarters at one of LDA’s spring Lyme disease presentations. Professor Eva Sapi, University of New Haven, and Pat Smith, LDA President, with Connecticut TV host Ray Hardman of Front & Center. Dr. Sapi and Ms. Smith appeared on the show to discuss the need for the then upcoming University of New Haven Lyme Disease Seminar, organized by Dr. Sapi. Ms. Smith was one of the speakers. LDA President Pat Smith and Connecticut State Representative Jason Bartlett (Bethel,Danbury,and Redding) at the recent University of New Haven Lyme disease conference. 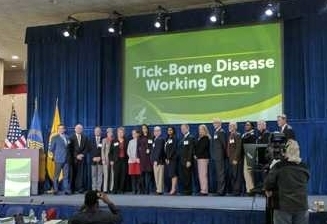 Both spoke at the conference about issues on tick-borne diseases. 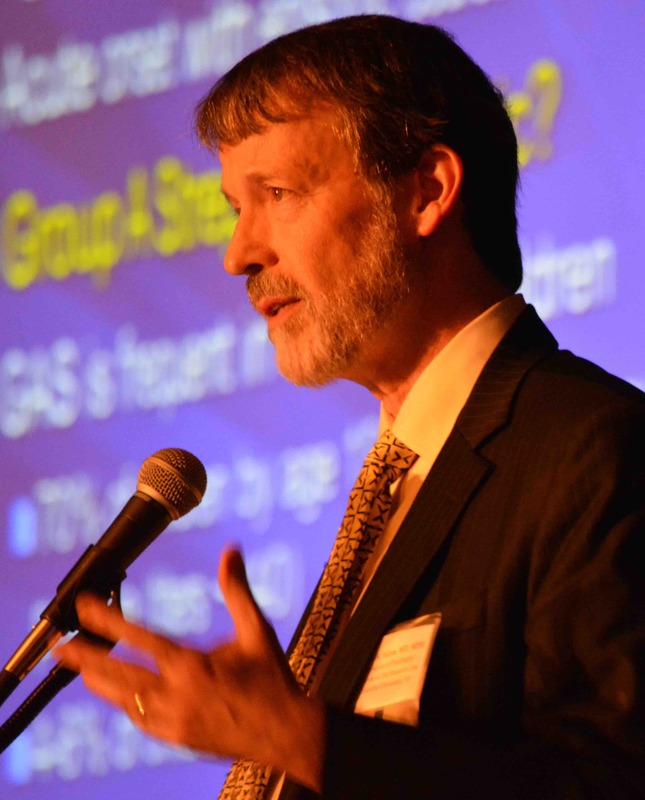 Mr. Bartlett had introduced a bill into the Connecticut legislature to restore mandatory lab reporting in Connecticut after CT cases decreased by 70% when mandatory lab reporting was dropped by the CT DPH. LDA, which favors restoration, submitted testimony favorable to the bill, which had a hearing with all favorable testimony but was not brought up for a Health Committee vote. Former Lyme Association of Greater Kansas City (LAGKC) President Ed Olson and his wife Lois, met in NJ in May with LDA President Pat Smith (C). They discussed issues of Lyme disease in the Midwest and efforts to raise awareness in that area. LAGKC is an affiliate of the LDA. HR 741 has another co sponsor! L to R: Christiane Berkel (Sewill.org support member) and PJ Langhoff (Sewill.org founder) meeting with Rep. Tom Petri, (R) 6th Congressional District (Wisconsin) to apprise him of Lyme disease issues. The Representative agreed to co-sponsor HR 741. Patricia Compton, a volunteer for the LDA, met with the Chronic Illness Coalition (CIC) in Southfield, Michigan on May 2nd, 2007. The CIC is a group of people who represent both for profit and not for profit organizations that support people with chronic illness in Michigan. Of the 30 people in attendance, 11 knew of someone in the Michigan area who had experienced Lyme disease. They commented that little was known about Lyme disease and it was difficult to find physicians to treat the illness appropriately. The presentation was a part of the group’s bi-monthly meeting held at the Multiple Sclerosis Society in Southfield. LDA President Pat Smith (C) at the Clear Run Intermediate School in Tobyhanna, PA. Ms. Smith presented a staff inservice on Lyme and other tick-borne diseases followed by 2 assemblies to the student body on Lyme disease, ticks, and protection. About 1200 6th and 7th graders heard the presentation. Monroe County, where the school is located, is on the high risk list for Lyme disease for counties in Pennsylvania. Joanne Bohrman (L) is the teacher who organized the presentation and along with Marlena Middleton (r) developed a pre and post test for the students. The Lyme Disease Association will provide an in-service to the Severn Elementary School PTA, Corning , NY, on Tuesday, April 17, 2007, at 6:30 pm. Lis Heininger, ReD, will be the presenter of this training session which will provide an overview of Lyme disease followed by a question and answer period. For info, contact PTA President, niffer@stny.rr.com. LDA, Maryland groups, and patients thank you for your efforts in defeating the Maryland Lyme disease bill, HB 836. It died in the Senate Education, Health and Environmental Affairs Committee without the committee taking action, so it never went to the full senate for consideration, as was the plan. Pat Smith, LDA President, and Ron Hamlen, a member of the LDASEPA board and a Maryland resident, testified against the bill at the hearing, and many others submitted written testimony. Hundreds of patients and groups nationwide reacted with emails and phone calls against the bill after the sponsor testified before the committee, citing that only one group was in opposition and “fear” as the reason the patients opposed the bill. It was an awesome grassroots effort that culminated in success for patients. 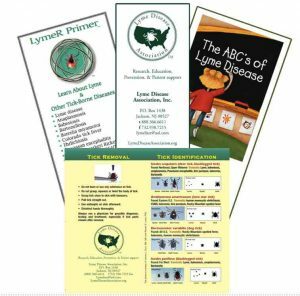 Special thanks to Jean F. Galbreath, President of the Harford County Lyme Disease Support Groups, Inc., an LDA affiliate, and the Lyme Disease Education and Support Groups of Maryland for leading the effort. Do you live or work in Maryland? STOP HB 836 now before it STOPS your Lyme treatment! You need to take action now. The Maryland Delegates voted for a bill that mandates the Maryland Department of Health to disseminate “latest consensus guidelines” (read IDSA) to physicians in Maryland. HB 836 is now moving to the Senate Education, Health and Environmental Affairs Committee for a hearing/vote on April 4. If it passes here, these guidelines may prevent Lyme patients from getting further treatment and those just bitten from getting a diagnosis. Stop it now while you can. 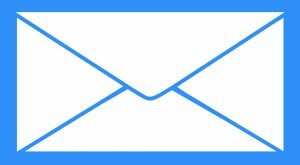 Contact the Senate Committee members TODAY; don’t wait!! LDA & most Maryland Lyme Disease Groups only support it if amendments are added. See LDA testimony for details.